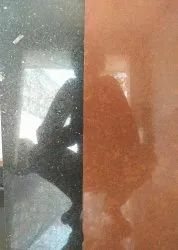 We are exporters of Lapatura Finished Granite Tiles. These Granite Tiles are sourced from best vendors, hand picked and quality checked by our quality compliance team. We work in close collaboration with Interior and Kitchen designers, Installers and Retailers to understand and deliver products that have better usability. Owing to the wide experience of this domain, we are instrumental in offering Gray Granite Tile to our clients. Prices are negotiable it depends on the requirement. We are involved in offering a wide range of imperial granite to our most valued clients. Our range of imperial granite is widely appreciated by our clients which are situated all round the nation. "We are looking for queries from foreign countries only".